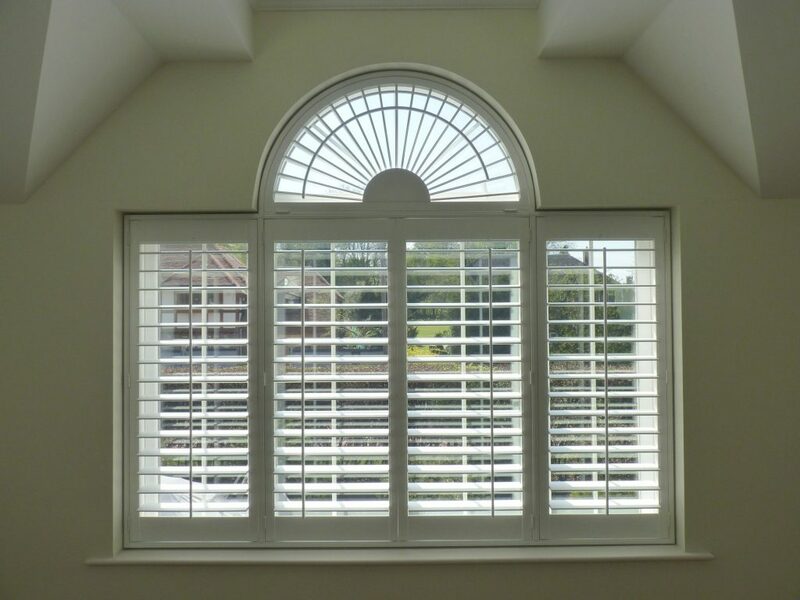 Shutters are ideal for shaped windows because they can be made to fit shaped windows perfectly, unlike curtains for example. They can be fitted to most shaped windows angled or curved such as portholes and arches. Vertical and horizontal Tposts can be used within the shape to help match the shutters to the different shaped window sections. 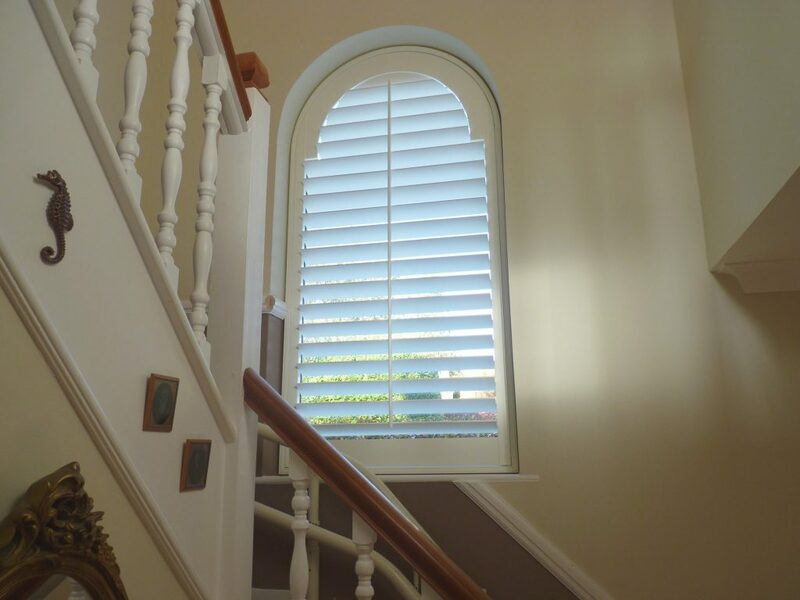 Louvres are shaped to match, and you can order fancy designs such as fan tops where all the louvres radiate around to match the curve. It’s even possible to have curved control rods that link all the louvres together allowing them to be operated in one smooth operation. Windows that are curved will need templates made, they are then sent directly to the factory so they can match the curve. There are special requirements to making templates, so check with us first before sending any templates to us. 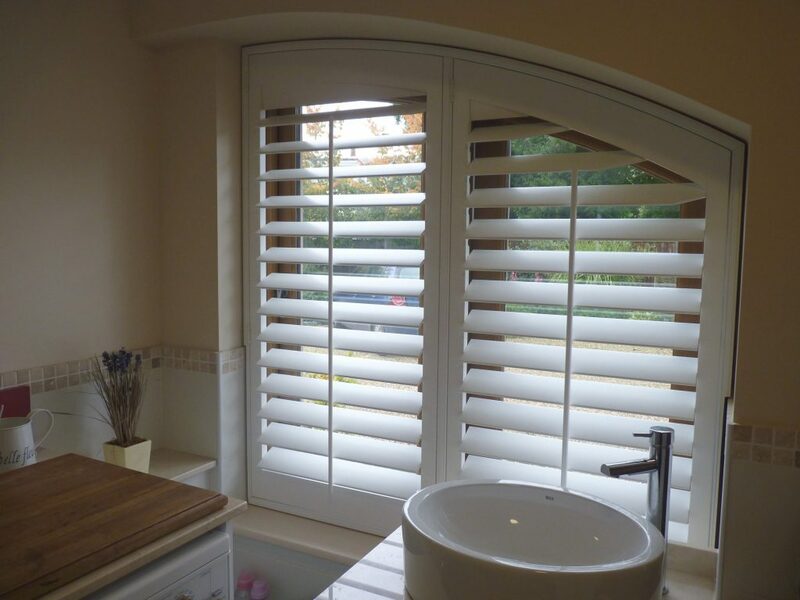 Shaped shutters fitted within frames can still be hinged opened, with an angled shutter, the hinges would need to be on the tallest side to allow the panel to open. Round porthole-style windows can be fixed with just magnets or you can choose custom frames and build in some straight lines to put the hinges on. Triangular shutters can be hinged downwards if required. Shapes are tricky to measure, so be aware of levels and centre points, it’s well worth talking to us for some expert advice, so get in touch.